Amara Living is the most trusted real estate developer in Rosebery, Sydney that creates beautiful homes designed to make the people who live in them happier. 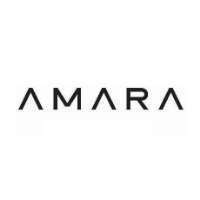 Amara Living is the most trusted real estate developer in Rosebery, Sydney that was founded by Robert Yazbek, whose success in the construction and development industry has been demonstrated over 40 years, and is influenced by his intimate knowledge of Sydney’s highly desirable eastern and south-eastern suburbs. Central to the operations of Amara Living is the belief that beautifully designed homes make the people who live in them happier. Amara also promises a seamless experience and an ongoing commitment to each project through its property and building management services. We create beautiful homes designed to make the people who live in them happier. With our decades of experience, we build functional, high-quality, homes. When we begin working on a new project, we put ourselves in our clients’ shoes. We think about why living in a particular location will make people happy, and consider how the environment will make them feel from the moment they step into their space. Looking for a trusted real estate developer in Rosebery? Come and visit Amara Living today! We create beautiful homes designed to make the people who live in them happier. With our decades of experience, we build functional, high-quality, homes.